The second pertinent concept is from Oskar Bättig (Suisse, 1945). But today, there is no prone bile because everybody knows it doesn't work, does it ? Not exactely ! Because it is the competition rules which forbid lying bikes. Recubent and sitting bikes are coming back because they are really more confortable on long distances, but bicycle competitions are not good for them because of bunches. The prone bike is forbiden in competition and is not good for long rides. But in town for short ride, it could take a big place because the bike traffic will grow up a lot in 21th century. 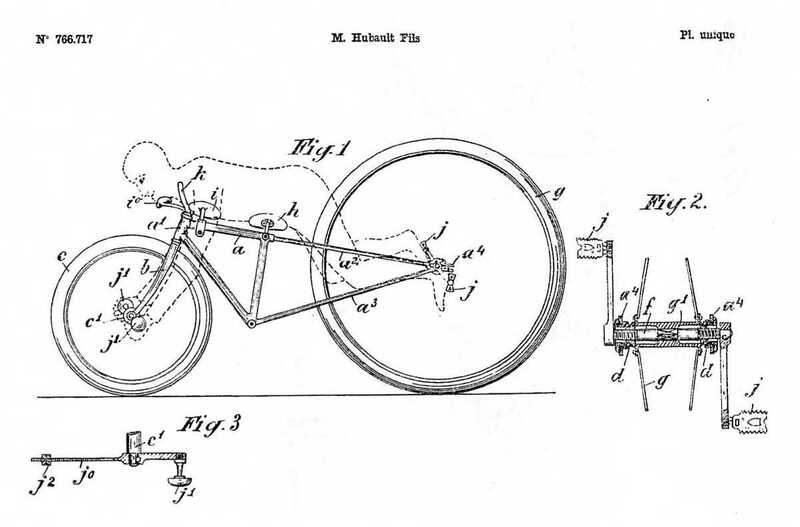 Many inventors are producoing their own bike. See for example this page. An builder has also tried to put on the market in 2003 this Model . Then, other are trying to break a speed record like François who shows its bike on this website. My personnal objective was to make a really usable bike for everyday but faster then the classic bike on flat and faster than recumbent in raises. Today, this objective is accomplished for my prototype. 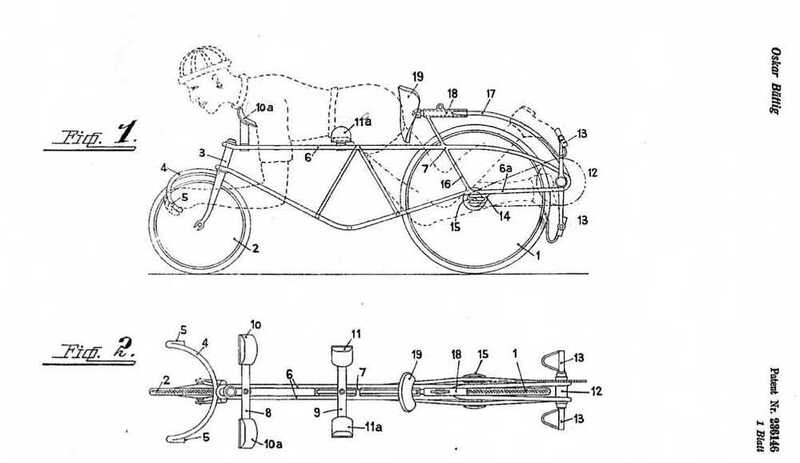 Prone bike concept is not my invention, but on H-zontal concept, characteristics has been protected by patents. If you want more information, please contact me.